Northern cardinal (male); photo by ehpien on Flickr (noncommercial use permitted with attributioin / no derivative works). Related to grosbeaks and buntings, Northern cardinals are distinctive in appearance and song - recognized by their "cheer cheer cheer," "whit-chew whit-chew" and "purty purty purty" whistles. They are widespread, abundant, and current populations appear stable. 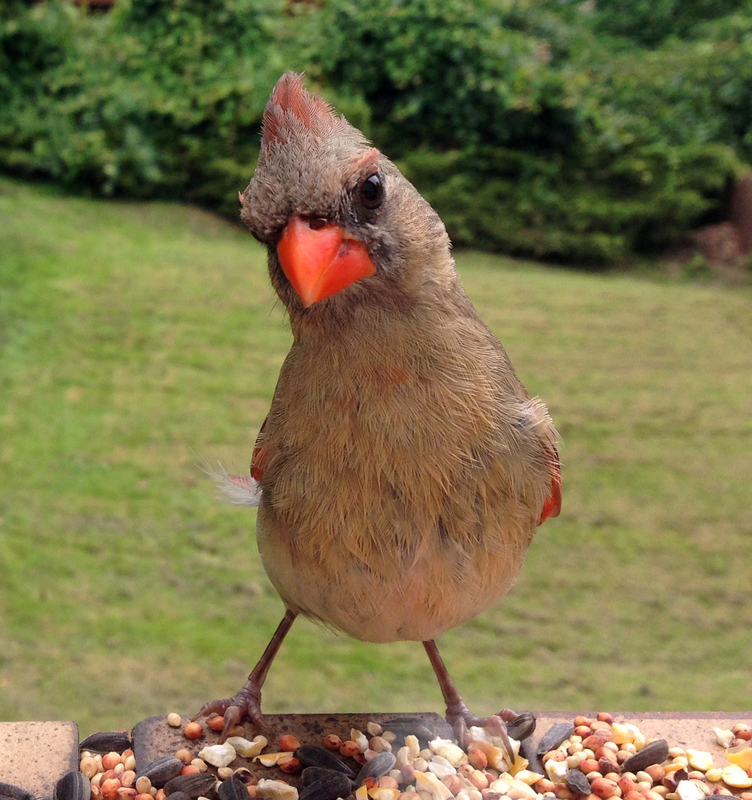 Male cardinals are a brilliant scarlet red, females a buffy-brown with reddish wings - both have a jet -black mask, pronounced crest, and heavy bill. 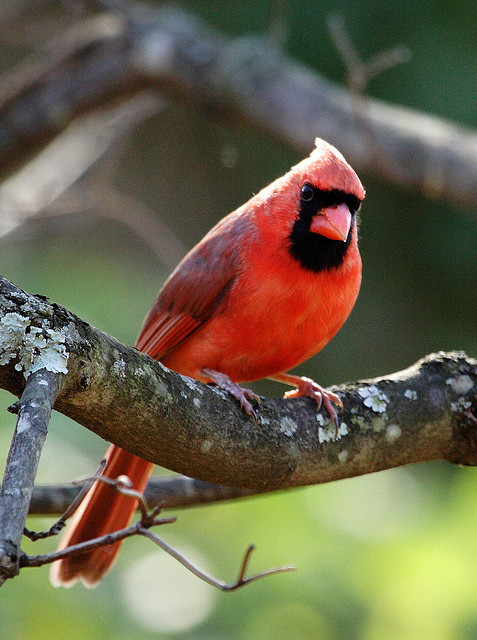 The cardinal sings nearly year-round, and the male aggressively defends his 4-acre territory (male cardinals have been seen attacking small red objects mistaken as other males). Northern cardinals breed 2-3 times each season.The female builds the nest and tends the hatchlings for about 10 days while the male brings food. The male then takes over the care of this first brood while the female moves on to a new nest and lays a second clutch of eggs. 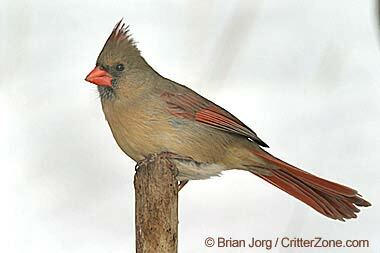 Gawky juvenille northern cardinal; it will mature into one of our most beautiful songbirds (state bird in 7 states). Photo by State Symbols USA. (use permitted with attribution). 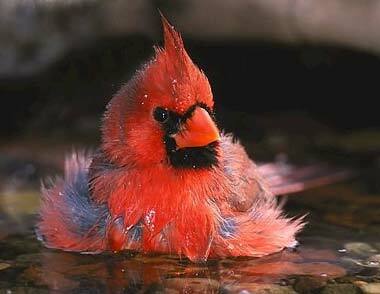 Northern cardinal enjoying a bath; photo © James Ownby: My View of Nature (all rights reserved; used by permission). Female northern cardinal; photo © Brian Jorg / CritterZone: Animal - Wildlife - Nature Stock Photography (all rights reserved; used by permission).